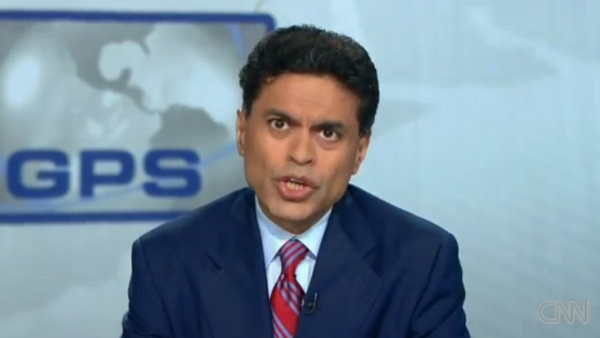 Every week, Fareed Zakaria opens his CNN show GPS by giving the audience his “take” on the key events of the week. More often than not, the subject of Fareed’s opening argument is what American conservatives were wrong about in the preceding week. In that same vein, I would like to outline what Fareed got wrong on his show last Sunday. While supporting Milosevic was certainly morally reprehensible, we need to consider why Yeltsin supported him. Yeltsin’s foreign policy principle was supporting state sovereignty. This principle has been a constant of Russian Federation statecraft. The Russian principle is, in short, this: the internal affairs of other states are their own business, and no matter the atrocities being committed, intervention from foreign powers is unjustified. This applied in recent years to Libya, Syria and Yugoslavia. Yeltsin, Putin, and Medvedev (the three Presidents the Russian Federation has seen) have all practiced statecraft based on this principle. When Blair and Clinton intervened in Yugoslavia, Yeltsin saw them as being in violation of his non-intervention principle. Yeltsin, then, did not support Milosevic so much as he supported Yugoslav sovereignty. This logic extends as well to the Chechen conflict. Putin and Yeltsin considered the region of Chechnya to be part of the Russian state, one of the many territorial concessions made by the dying Ottomans in the 18th and 19th centuries. Only when we properly understand the sanctity of sovereignty as a principle of contemporary Russian foreign policy can we accurately examine Russian actions in Georgia, Ukraine, or Chechnya. It seems that Fareed has forgotten this principle, and, for that matter, so have Western policymakers. While it is true that Russia did not show the same gratitude at the end of the Cold War as the Axis powers at the end of the Second World War, the situations are incomparable. After World War II, the Western powers did all they could to help rebuild the destroyed states of Germany and Japan. After the Cold War, the Western powers stripped Russia of all its historical European provinces. Between 1989 and 1991, Russia lost almost half its European territory. The territories of Latvia, Estonia, Belarus, Georgia, Lithuania, and Ukraine – all consider by the Russians to be integral parts of the Russian nation – were essentially shifted away from their historic role as satellites or provinces of a Russian empire, into more or less imagined nation-states. Their borders were drawn up arbitrarily by Kaiser Wilhelm in 1917 in the same way that David Lloyd George and Georges Clemenceau carved up the Ottoman territory. In 1991, the NATO states accepted Wilhelm’s arbitrary borders as legitimate, and then began integrating what was historically Russian territory into the NATO alliance system. Contemporary Middle-East commentators often ascribe the problems of the region in some respect to the poor job the French and British did with the remains of the Ottoman Empire, but very few people apply the same logic to Eastern Europe. By stripping Russia of the former Soviet satellite states in 1989-91, which in the minds of the Russian people are integral components of the Russian nation, the West imposed a Carthaginian Peace on the former USSR parallel to that Wilhelm imposed on the Russian Empire in 1917. The small pseudo-Marshall Plan the United States provided to Russia after the breakup of the USSR is nothing when compared to the territory the Russian state lost at the hands of the West. While Fareed does say that the West did not do enough to help the Russian state, he does not begin to acknowledge the integral role the Western powers played in shaping the degenerated position Russia is in today.